Is it interesting to you that we keep finding forgeries today — even important pieces – such as pieces in the Baseball Hall of Fame? Can we simply attribute that to how widespread the forgery problem was up until Operation Bullpen? Kevin Nelson: I do find it interesting that forgery is just as prevalent now as it was in the late nineties when the FBI busted the original Bullpen gang. At the time federal officials estimated that 90 percent of all signed pieces sold on the Internet were fake. After a ton of criticism the feds changed their tune to say only 50 percent of autographs were fake. The truth is, nobody knows. But the number is, without doubt, substantial. Forgery remains a big problem. Now, I’m using the “forgery problem” in the past tense, but is it accurate to use the past tense? In other words, has the memorabilia industry changed enough that forgeries are no longer as prevalent? Kevin Nelson: Nope. I receive emails all the time from people who see fakes being sold on eBay and elsewhere. John Olson was one of the greatest Ali forgers, who worked with Chuck Wepner in defrauding people and who was busted in the second phase of the Operation Bullpen investigation. He called me the other day just to check in and said that he still sees his stuff being sold online. 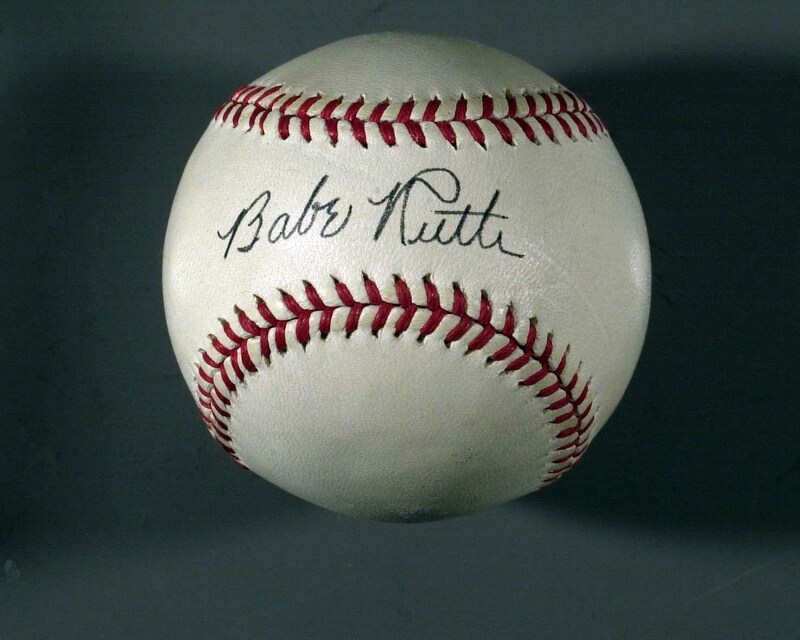 One of the consequences of Operation Bullpen is that leagues, teams, and memorabilia companies have partnered together to create a new era of authenticity, with professional authenticators, holograms, Internet-tracking, and the like. Were these procedures necessary to re-establish the credibility in the memorabilia industry? Or, again, is that claim overly simplistic? Kevin Nelson: The latter. The efforts to combat fraud have had a real but limited impact in part – in large part, one might say – because of the consumer. People think they’re getting a bargain online when they see a signed Mickey Mantle photo being sold for 75 bucks, and they scoop it up. It is, of course, almost certainly a fake. But either these people don’t know what they’re buying, or they don’t care. In either case, they are buying fakes and often feeling good about it because they’ve gotten it for such a good price. Forgeries usually sell for less, and often considerably less, than the real thing. Furthermore, through Steiner (and other companies, of course), I believe you can pre-order game-used baseballs or bases or jerseys, etc. Does that ruin any of the spontaneity of sport, a la a Mean Joe Greene’s Pepsi moment, or am I drunk on nostalgia? Kevin Nelson: No, you’re not nostalgic at all. Sports fans love this stuff. That’s why there is such a huge and growing market for game-used material and continuing strong demand for autographed material, despite a bad economy. I live near San Francisco, and people out here went nuts for the Giants this year. They had to have something associated with the team. That’s why forgers and fraud artists have such a thriving business. They are exploiting something that is real: people’s love for sports. People feel passionate about these athletes and they want to connect with them, somehow. Collecting is one way they can do that. All that being said, are fans more savvy to the perils of Internet or E-bay shopping than they were in the late 1990s and early 2000s? Kevin Nelson: Collectors are definitely more sophisticated than they were in the nineties. Although they were aware back then of the potential for fraud, most people did not understand how widespread it was until the Operation Bullpen busts. First there were the FBI busts in Chicago mainly of Michael Jordan fake merchandise. But those were local stings. Then came the much larger busts of the Bullpen ring, which exposed a national operation doing tens of millions of dollars of business as part of a very clever and formidable criminal conspiracy. Most serious collectors are aware that a good deal of the supposedly legitimate stuff that is sold on eBay is actually garbage. As a follow-up, when stadium dirt or player jerseys or some other kind of game-used memorabilia is broken up into hundreds of pieces and sold off in pieces assembled in frames and such – to the point where it seems they are not so different from mass produced items – does that water down what’s special about the item when it’s whole? Kevin Nelson: Well, it depends. If people are aware of what they’re buying, and it’s legitimate, I don’t think it’s a rip-off to sell them a piece of turf from old Yankee Stadium if that’s what they’re interested in buying. They have a lot of great memories of what happened on that turf and to have a piece of it in their house, well, that’s kinda cool. Derek Jeter and A-Rod walked on that piece of dirt there, that’s now in my living room. It’s a great conversation piece when you have the guys over to watch the game. Kevin Nelson is the author of Operation Bullpen: The Inside Story of the Biggest Fraud in American History. Contact him here. I just wanted to send a quick email thanking you for the great book you wrote on Operation Bullpen. I am a keen autograph collector and bought the book as I did my university dissertation on counterfeit autographs and how widespread the problem is. Your book was invaluable to me and I thank you for your great work. Nice job, Kevin. As you know, the stupidity and sometimes the threats come with the turf when you’re trying to reveal the truth. Nice article. It’s obvious that the people who are willing participants in forgeries or the selling of forgeries are the ones who are harassing people like Chris Williams. I defend Chris in his videos, and then they start in on me. Some of the people selling the forgeries aren’t the forgers themselves, but they sell them because they think they are knowledgeable themselves, and they know just enough to be dangerous. There is a guy on eBay who sells fake 500 home run balls and other fake stuff because he believes that the cheap stuff he buys there is real. So when he flips it, he doesn’t have any problem selling a fake because it COULD be real. This guy just sold a signed Roy Campanella bat for $166 when a real Campanella signed bat would go for a couple thousand or more. Campanella had a car accident in 1958 and any bats he would have signed would have been pre-accident, since his post-accident signature is a shaky scrawl at best. So this goof sold the bat for $166, and when I questioned him as to how Campanella could have signed this bat before 1958 when it’s signed in Sharpie and Sharpies didn’t come out until 1965, he defended himself by saying it was signed in Magic Marker, the predecessor to Sharpie which was invented in 1952. I countered by saying where the heck are the Ty Cobb signed photos and bats signed in Magic Marker since Cobb lived until 1961? When Magic Marker was invented, it was a glass bottle with ink inside, with a wool wick. Of course it would have made a pretty wide and sloppy signature on a bat, not a nice dark defined signature that was on this bat, but this fellow doesn’t let the facts stand in the way of a good story. And so it goes with most of the people who sell bad stuff on eBay, including those who may possibly not be aware that they’re peddling a forgery. They only care, as Roste says, “that they sell higher than they buy,” and they’re not going to let anything stand in the way of that. Kevin Nelson is the author of Operation Bullpen: The Inside Story of the Biggest Forgery Scam in American History, now being developed into a movie.